I could not get by without a dry shampoo and I have tried many different brands from drugstore to high end. 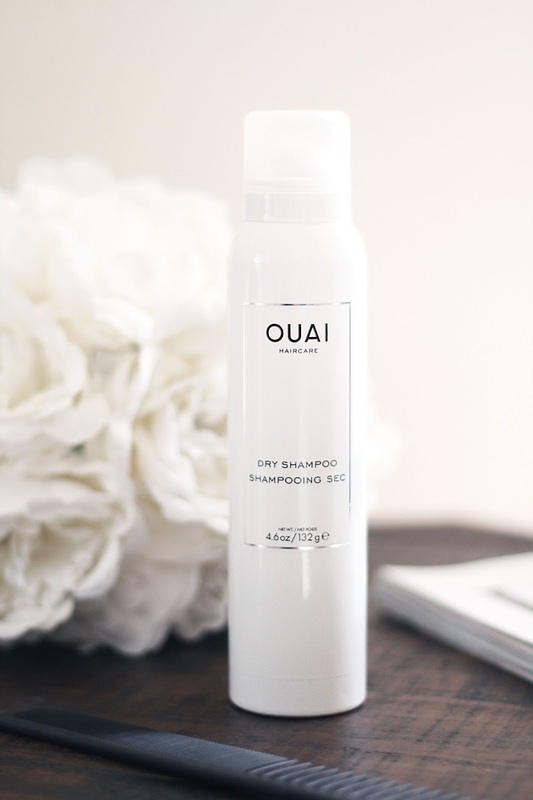 I recently ran out of the dry bar dry shampoo which I received for christmas and decided to try out OUAI as I've been loving their other products so much. They actually have two dry shampoos to choose from, a foam and an aerosol. I chose the normal aerosol because I am a creature of habit and change is scary! Let me know if you've tried the foam version, I'd love to hear your thoughts. Ok first things first its beautiful... 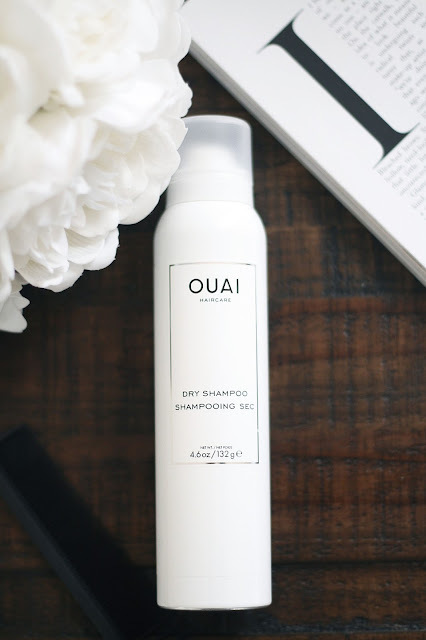 I can spot OUAI products a mile away with that sleek, minimal polished packaging! I have no complaints there apart from I want to buy everything and my bank balance will not allow it! To use its very simple shake well and spray onto roots whilst holding the can 6" away from your head, then fluff out hair with your fingers... I told you it was simple! I tend to wash my hair once to twice a week so a good dry shampoo is a priority to keep my hair looking fresh. I work out around 5 times a week and add that with slightly oily hair and a biweekly hair wash you can only imagine the state my hair gets into. I tend to use a dry shampoo on hair day 3-5 then I will have to wash my hair. There are a few things I love about this product; it has a very pleasant light airy scent which lasts throughout the day, the product leaves no white residue whatsoever and lastly it adds just the right amount of volume to my hair. After use I literally have fresh hair again and I honestly love not having to worry about getting rid of white spots in my hair, thats a big win right there. With that being said there is one thing I dislike about this product and that is after use you can definitely feel product build up in your hair (FYI I don't use any other products) not a big enough deal to stop me using it but worth mentioning. Send me your dry shampoo recommendations I'd love to try some more out!